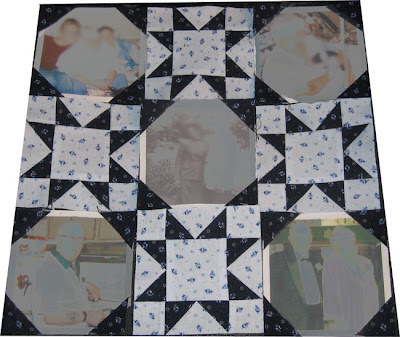 It's taken a while but so many things going on now that sewing has not been a priority lately. Although, I need to get moving because I have so much to finish before Christmas. I finished the first pillow's paper pieced star blocks. I think my trim was too tight and I'll be missing some points on the stars but that always seems to happen to me and I'm used to it. Below is the paper and trimmings from one block. I finally got the hang of removing the paper pieces cleanly. Just needed to get one seam allowance off and then the rest folded off cleanly. 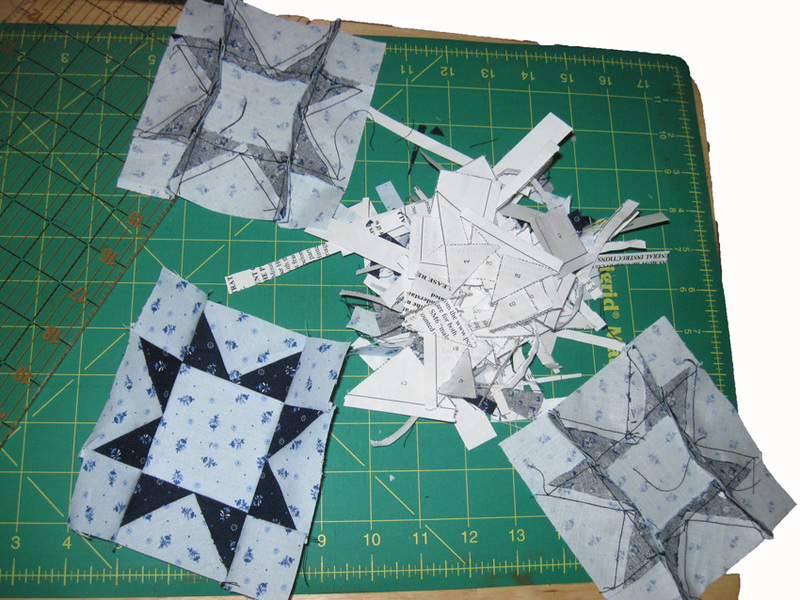 I'm happy with how the layout looks before sewing the stars and photo blocks together. The design came out just how I wanted it. 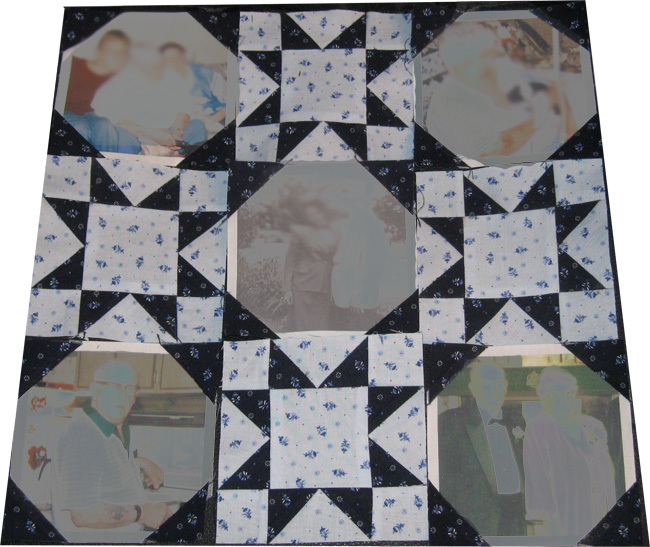 Now, all that's left is to sew the blocks together and create the backing flaps and then it's one done and one to complete. Of course, I purposely blurred the photos for blog posting. Don't want to ruin the surprise or have them picked up and posted elsewhere.